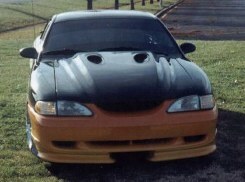 Here is Roscoe's 95GT. Nice Ride! 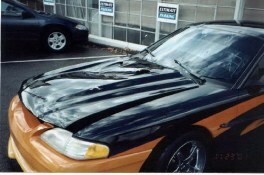 "I had a small set back, the hood flew up on my car and did $1800 dollars worth of damage. But, never the less, all it hurt was the hood and the roof. Oh, and also my pride"
All I have to say is this is one DAMN good looking Stang! 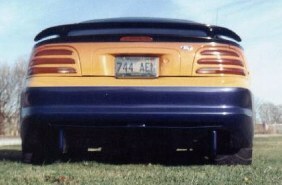 I normaly don't like custom paint that is all milt-colored and that but this paint job looks VERY GOOD! !